In our local city resides a very large steel mill, originally named Lukens Steel. In fact, back in 1969, Lukens was the mill that forged the steel beams (often referred to as "trees") for the World Trade Center towers. Many of these steel forged beams remained in tact and still standing after the catastrophic events of September 11th, 2001. In fact, ten of the remaining beams were transported back to Coatesville, Pennsylvania on April 15, 2010, to the city they were originally made. In a small way, the city in which TheFireStore resides was connected to the World Trade Center. 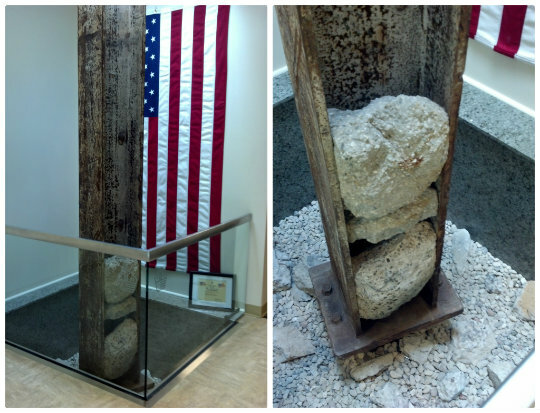 We're honored that the beams have been transported back to this city and are able to become part of a memorial that help us to Never Forget.